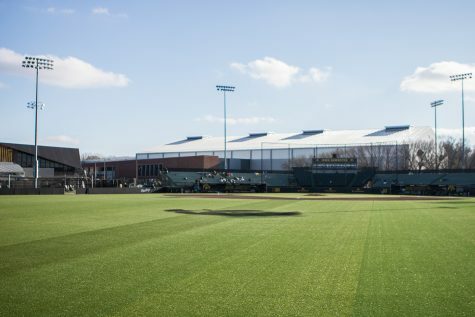 The Hawkeyes can take the series against Hawaii with a win on Sunday. 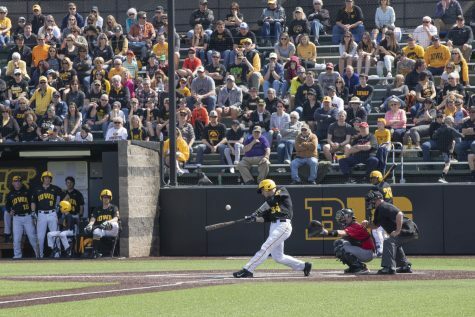 After suffering a loss in the first game of the series, Hawkeye baseball bounced back to win two in a row to take a 2-1 series lead heading into the final bout on Sunday. 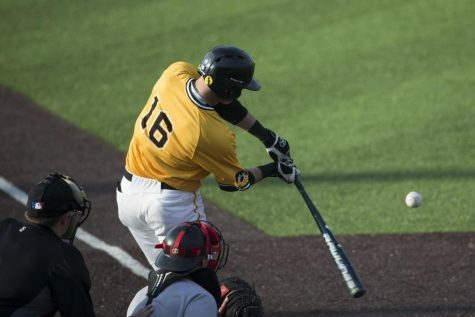 Iowa came back from a 7-3 deficit to take the first game on Feb. 23 before winning the second, 6-4. 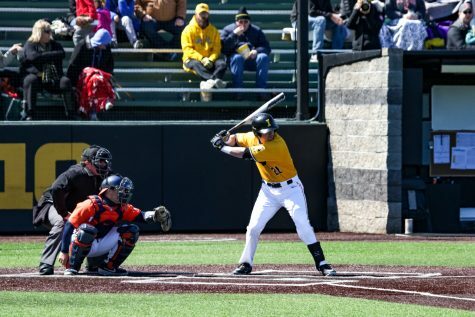 Iowa scored a season-high 10 runs in the first game of the doubleheader, picking up a 10-8 victory over the Rainbow Warriors. 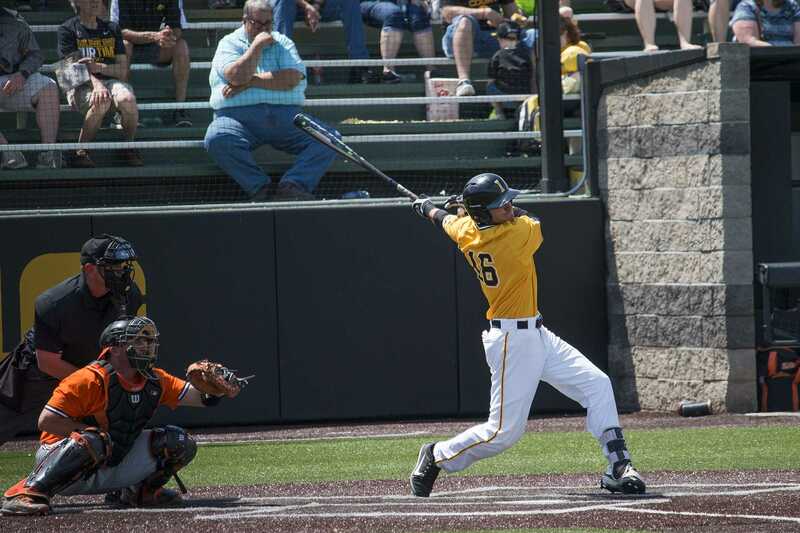 The Hawkeyes’ production at the plate proved to be impressive, as five different players recorded multi-hit games. 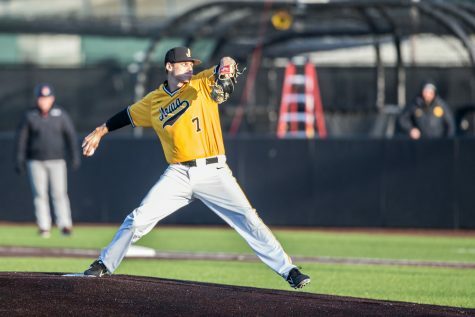 Hawaii took a 2-0 lead off Jack Dreyer in the first inning, but the Hawkeyes jumped on the Rainbow Warrior pitching from the start, racking up 3 runs of their own. 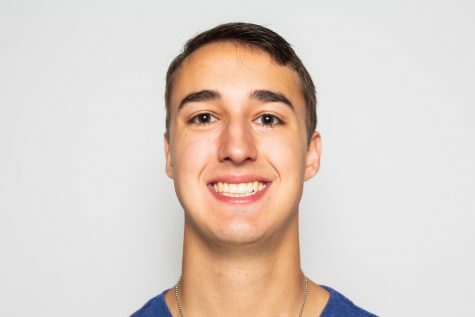 Hawaii took advantage of its time at the plate after, though, taking advantage of reliever Duncan Davitt and four free bases by scoring 5 runs. 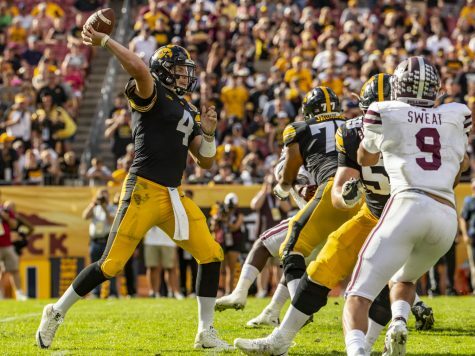 After the outburst from the Hawaii offense, Trace Hoffman entered the game and calmed the waters for Iowa. 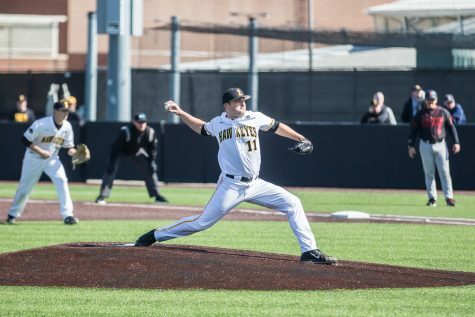 He retired the first 10 batters he faced and allowed only 1 hit in 3.2 scoreless innings to earn his first victory on the mound for the Hawkeyes. 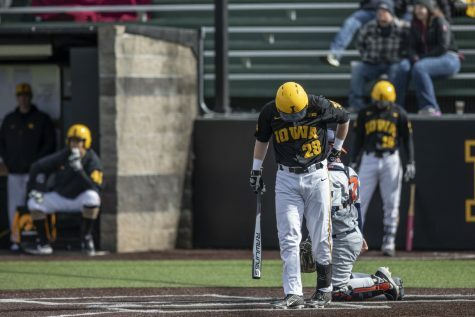 Iowa then scored 4 runs in the fourth and 3 more in the seventh to walk away with a victory in Game 2 of the series. In Game 2, Iowa came out with a 6-4 win to take the 2-1 series lead. Hawaii once again jumped out to an early lead, scoring 2 in the second inning off Iowa starter Cam Baumann. But it didn’t take long for the Hawkeyes to regain the lead. 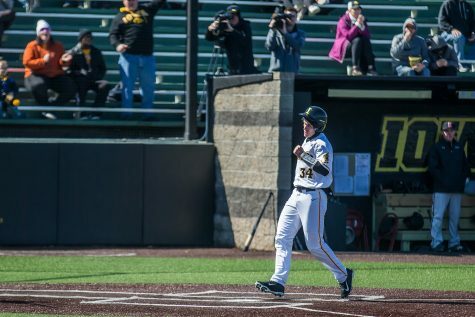 Iowa loaded the bases in the third inning with two outs, and senior Tanner Wetrich unleashed a bomb over the left-field fence to give the Hawkeyes a 4-2 lead on his first-career grand slam. Junior Zeb Adreon came through with insurance in the eighth, singling in 2 more runs to give Iowa the 6-2 lead. 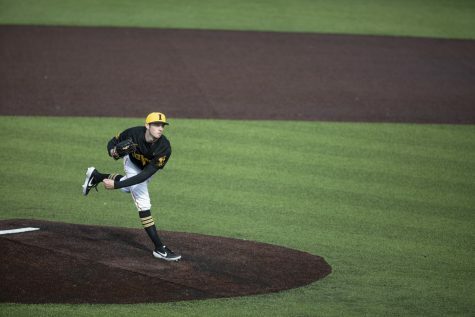 Hawaii threatened again in the eighth, adding 2 runs on an RBI single and an RBI triple, but Grant Leonard got the Hawkeyes out of the inning and retired the first three batters in the ninth to earn his first-career save. Iowa will look to take the series in Game 4 in Hawaii at 5:05 p.m. on Sunday.